National Play-Doh Day is celebrated annually on September 16th and we hope you will join us. Play-Doh inventor Joe McVicker sold Play-Doh originally as a wallpaper cleaner, but the world had another use for his product. 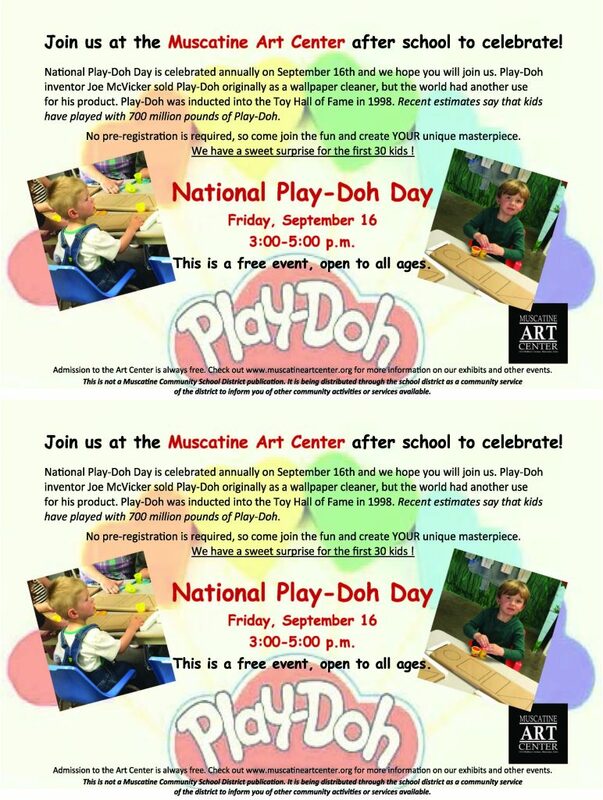 Play-Doh was inducted into the Toy Hall of Fame in 1998. Recent estimates say that kids have played with 700 million pounds of Play-Doh. No pre-registration is required, so come join the fun and create YOUR unique masterpiece. We have a sweet surprise for the first 30 kids !